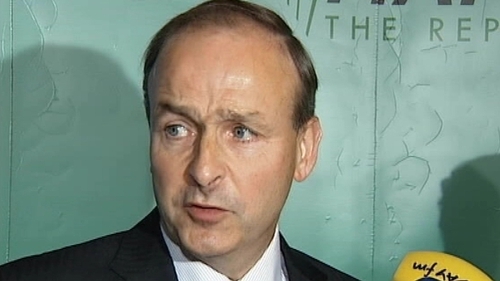 The youngest daughter of Minister for Foreign Affairs Micheál Martin has died in hospital in London, aged seven. Mr Martin, along with his wife Mary and their family, were at Léana's bedside at Great Ormond Street Hospital when she died. She was the youngest of four children - two sons and two daughters - aged between seven and 15. A spokesman for Minister Martin said she had been in Our Lady's Children's Hospital Crumlin for two weeks, before being transferred to Great Ormond Street Hospital in a critical condition earlier this week. In a statement, the Martin family said they were 'heartbroken at the loss of their darling Léana'. 'She was a beautiful light in our lives,' the statement added.